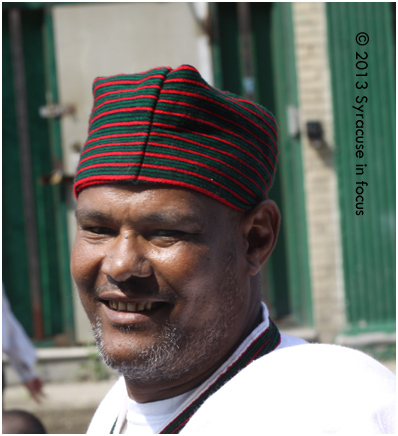 Habiba Boru, who came to Syracuse from Ethiopia, gets ready at the 500 block N. Salina Street on World Refugee Day. 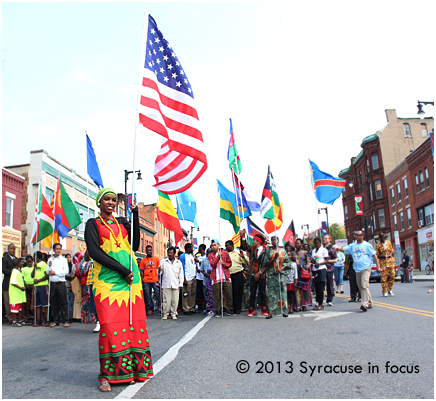 She led the parade to downtown Syracuse. 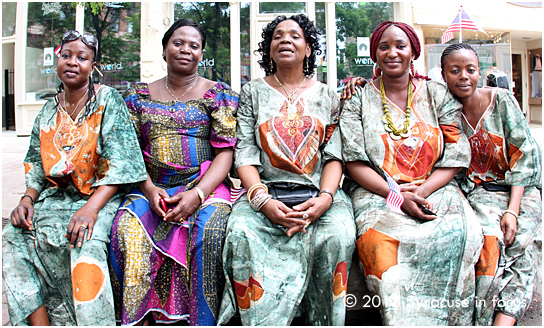 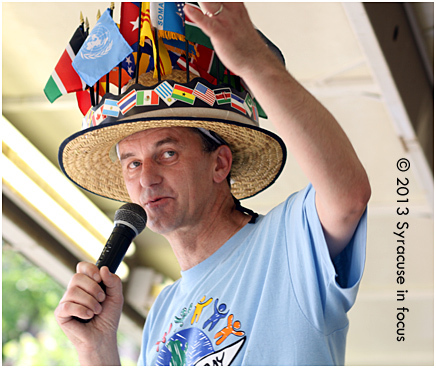 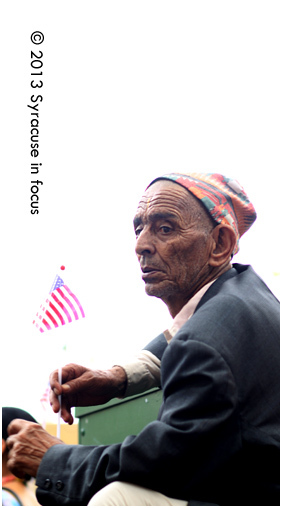 For more photographs check out the World Refugee Day in Syracuse Facebook page.